My best friend Katie lives in Fayetteville, Arkansas (she goes to U of A) and ever since our freshman year of college, Callen and I have made a point to drive the 8 hours up there to hang out at least twice a year. The first time we went, we figured it would be a pretty lame college town with not much to do (other than pet baby lions -- arkansas is weird) but we were shocked to find an awesome little town nestled in the gorgeous Ozark Mountains! We fell in love! I remember in those early years, Callen and I often talked about moving there right when we got married (I was planning on graduating early, so we would have moved there for Katie's senior year) and then going somewhere else when Katie graduated. But, plans change and I can't even remember the last time we talked about that one haha. Now looking back, we've made multiple trips to Arkansas and had some pretty rad adventures out there! We attended Outdoor Rendezvous in 2013 at Horseshoe Canyon Ranch and, despite the bitter rain all weekend, that was when we really fell in love with outdoor adventure! We learned so much there and soon after we went on our first backpacking trip and summited our first peak (Emory Peak in Big Bend National Park). 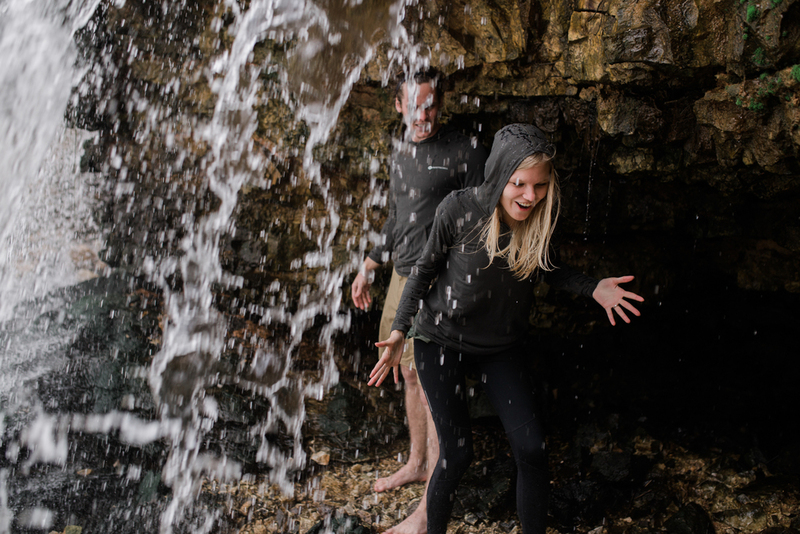 If you've following us for a while, you probably know that we are brand ambassadors for an outdoor lifestyle brand called Fayettechill. We first met them at OR in 2013 and have stayed in touch since. 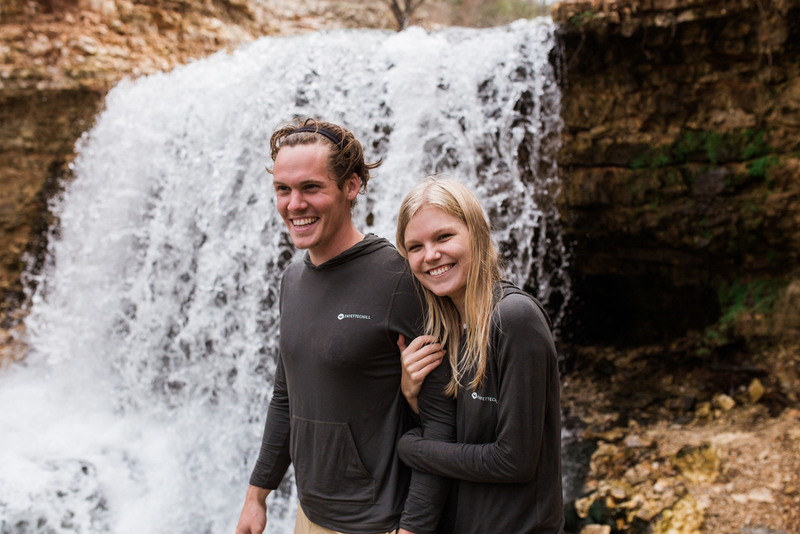 We really love the people behind this brand and what they stand for. 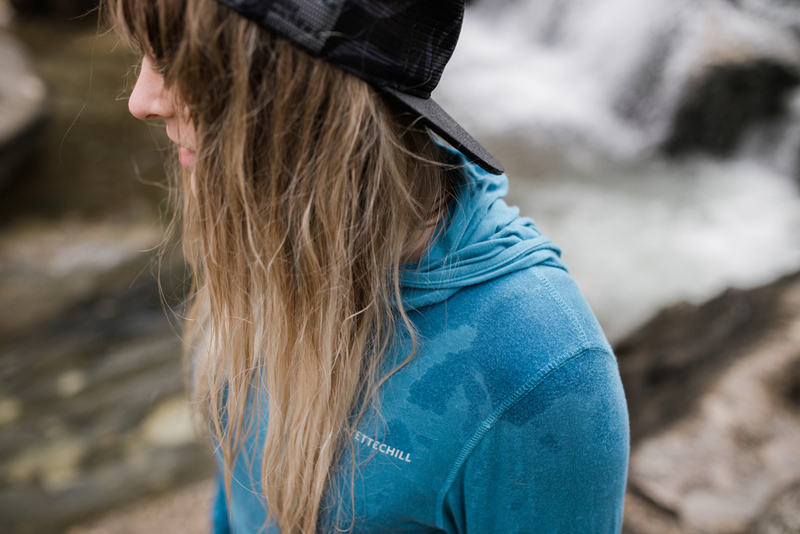 They're huge on the simplicity of getting outside, they give back to their community, support local artists, and they make rad gear! 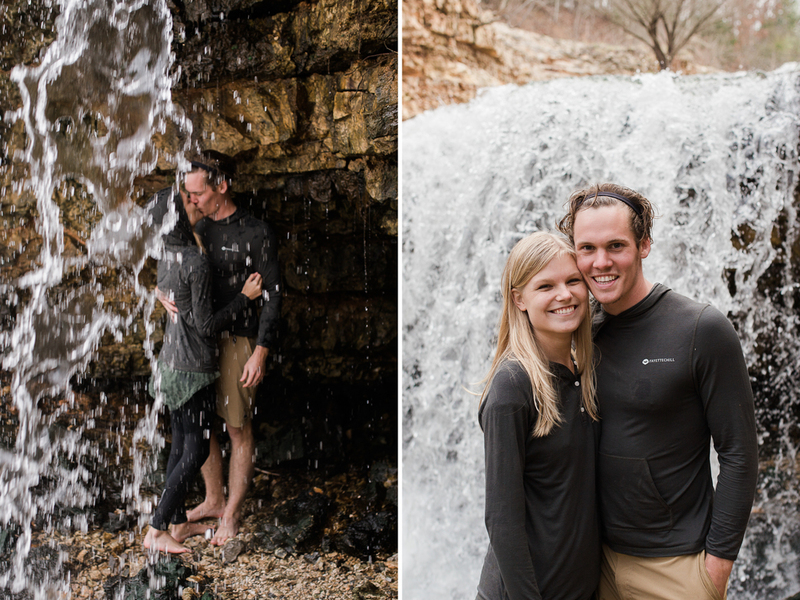 Last month, we made our last trip to Arkansas before Katie graduates (truly the end of an era), and we all got together for a Fayettechill shoot at a nearby waterfall. It was SO fun! We got out there and Devin had everyone put on some clothes from the new spring line and Callen and I were able to get super creative with the shoot! We had people in trees, running through the waterfall, and climbing barefoot all over the rocks. We truly felt like this excursion captured the Fayettechill vibe so well. Just a group of friends going out and playing without a care in the world. I hope these photos encourage you to do something FUN this week! Not "for the gram" or out of obligation, but just for fun. Find something that makes you feel like a kid and do it! Even if you have to take a long shower and do some laundry afterwards, I promise it's worth it!